8711 is rated 4.0 out of 5 by 2. Rated 3 out of 5 by 68 Super Bee from Did not fit There is only one set of holes for mounting over intake manifold studs and the Edelbrock 1406 carb. has two sets of holes. my Mopar 383 uses the inside holes so the spacer would not fit... cut off the mounting holes and made it work though. 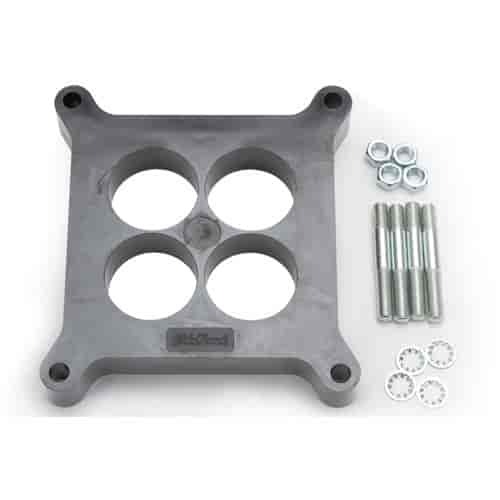 can this be used with a edelbrock spreadbore to squarebore adapter?